This project was created and directed by our sister club, the Stourbridge Rotary Club in England. The Sturbridge USA club donated $1,300 towards the cost of this humanitarian project, operated under the terms of and supported by the Rotary Foundation. In common with all such projects, all money was donated by Rotarians who either gave directly to the project, or to the Rotary Foundation. 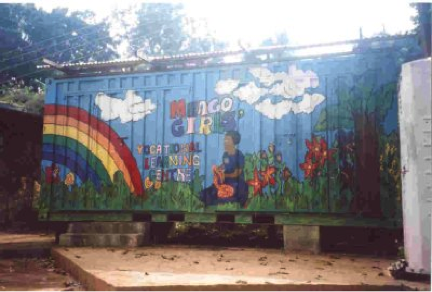 Our sister club had over the years developed a good working relationship with the Farmer Overseas Action Group (FOAG) – a charitable organization not part of Rotary – which partnered with the Stourbridge Rotary Club on this project. This 2005-2006 project had many facets, all of which were completed successfully, and is a testament to the ingenuity and resourcefulness of the Stourbridge Rotarians, in particular their project leader, Mike McConville. 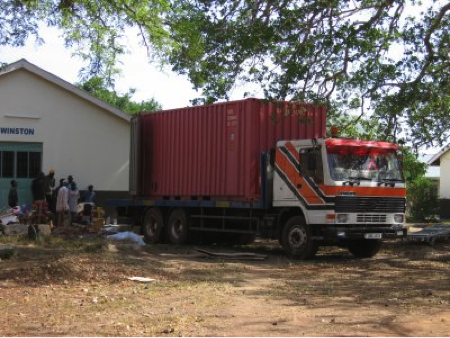 A new 60 KW diesel-electric alternator was delivered to Kumi Hospital in Eastern Uganda, to provide emergency electricity. Typically the hospital only had electrical power 50% of the time from the grid. A total of 13 hand sewing machines and a large assortment of materials were assembled by members of the Stourbridge Club and by the FOAG project coordinators for the various residential homes for handicapped people. Also included was a large quantity of bed linen. One dedicated new computer was given to Kumi Hospital. 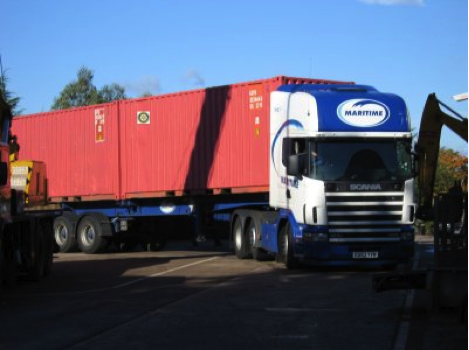 Two second hand 20 foot containers were purchased and repainted by the members of the Rotary Club of Stourbridge. These became the method of transport for all the equipment being shipped. 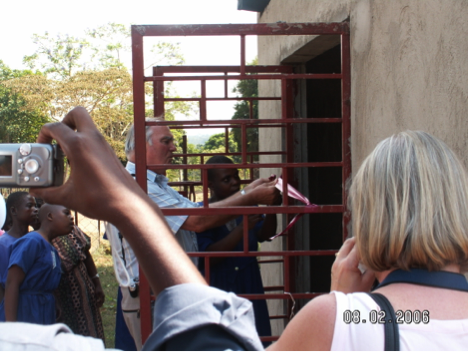 Once in Uganda, one became a classroom for girls and the other secure storage at one of the homes serving handicapped children. 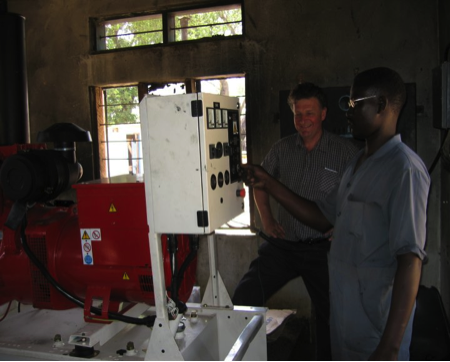 A second diesel-electric alternator was bought to supply power to another residential home for children. Rotarian Mike McConville and his wife Jan together with representatives from FOAG traveled to Uganda at their own expense in late January 2006. 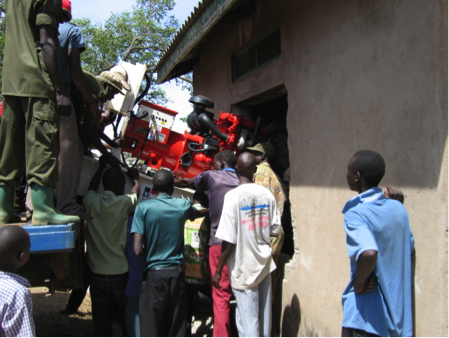 There they supervised and directly worked to place, wire and commission the generators at the hospitals and home. 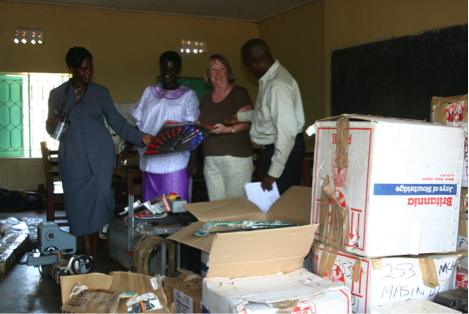 Redundant equipment collected from hospitals in England was shipped for use at Kumi, Masindi and Mengo hospitals in Uganda. 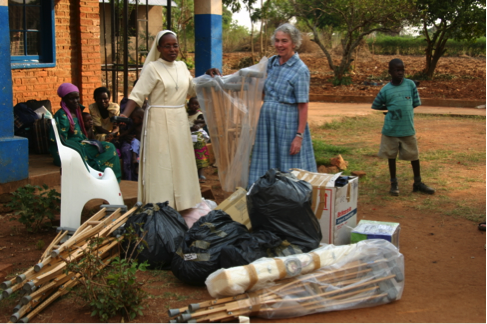 Stourbridge Rotarians collected used hand tools for use by three residential Cheshire homes in Eastern Uganda and two residential centres for mentally and physically disabled children in Western Uganda. The Final Project Report shows just how complex this project was. That report can be accessed by Sturbridge club members in the Member Resources section of this website.